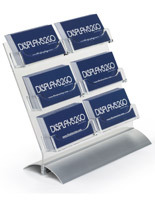 These 6-pocket business card holders feature are made of black acrylic with an angled design for facing clients. 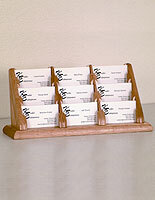 With the organizers' full view compartments, visitors will be able to see the contact information before they take it. 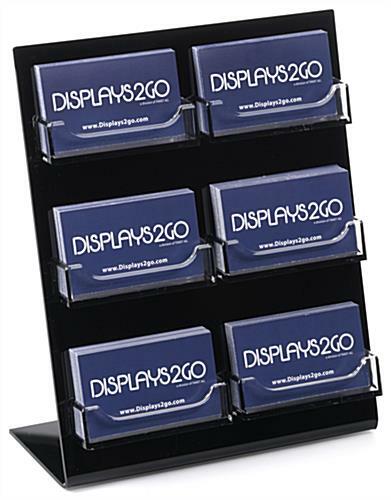 Each of the business card holders is made to be placed on desktops and features a nweutral finish that will match any décor. 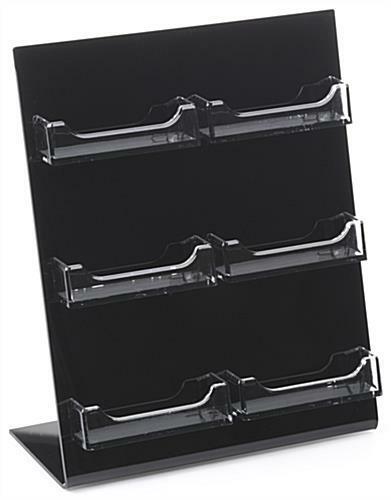 The black acrylic holders are popular in car dealerships, insurance offices, retail stores and other professional environments. 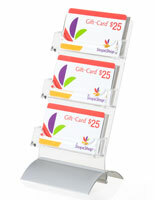 Alternatively, the desktop card holders can be brought to events like trade showss and banquets for promoting a business. 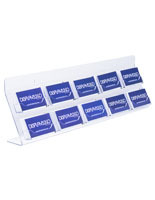 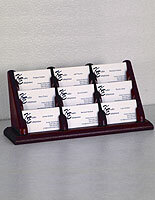 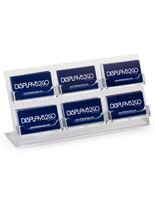 The full view organizers are made to fit contact information measuring 3.5"x2" in a horizontal orientation. 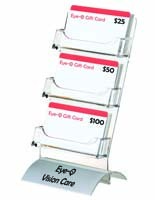 8.3" x 10.3" x 4.5"